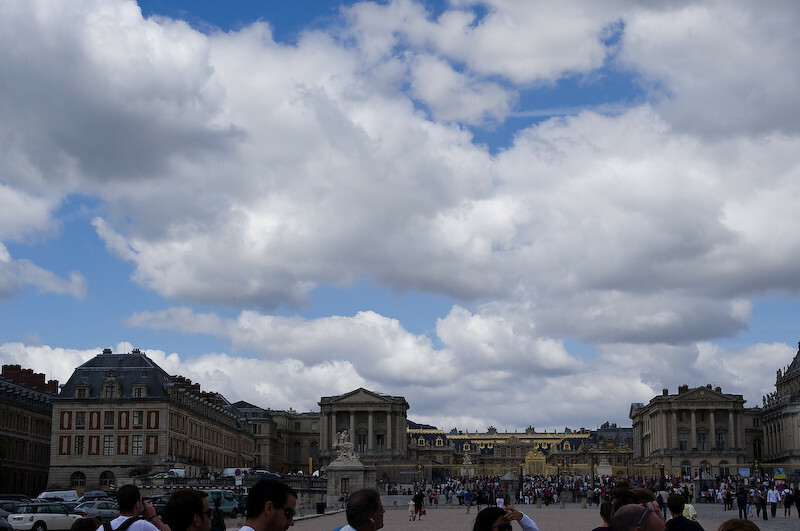 So, I decided that with one of my days in Paris that I should go see the always revered Palace of Versailles. It was Beautiful, and huge and amazing. I took the tour of the gardens and had the same tour guide that led us around on the free walking tour. The gardens where outstanding, and just SO big. The fountains I was a little disappointed about I didn't realize that they only ran on the weekends. So although the fountains looked jolly; would have been nice to see them in their full glory spewing water and what not. The day was beautiful though and the place intriguing was a day well spent. Later that day I had to do laundry for hopefully the last time on my trip. I found the local laundry place and with the help of a these two American girls that already figured out how to use the system got my clothes all clean again! lol, i was wearing swimming trunks and a flannel since those were the only things left that were clean :) Had a few beers with the local crowd down at the bar and then headed to bed for an early start on making my way to Berlin.